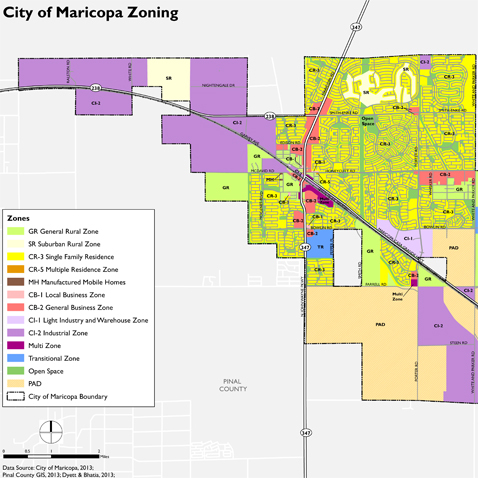 Dyett & Bhatia was retained to prepare a comprehensive update to Maricopa’s zoning code. Incorporated in 2003, the City inherited regulations dating from the 1960s written for Pinal County. The update consolidated zoning districts and created detailed regulations for specific use classifications and for building design. It also supports mixed use developments and sustainable building practices and streamlines zoning administration. The regulations were adopted in November 2014 and effective December 2014.